Eyebrows are the biggest game changer on your face. Seriously. When they're soft, well-groomed and well-shaped, they frame your face and can even take years off (if that's what you're going for). But the truth is, not everyone is genetically blessed in this department. 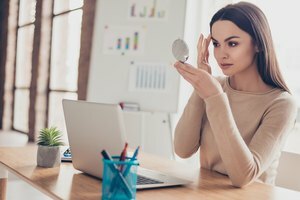 Whether you're struggling with wiry, unruly brows, or you just haven't figured out how to get an eyebrow look that seems natural, there's hope. A good hair mask can do a lot for the locks on your head, so why not a deep conditioning treatment for your brows? If you've already got a tried-and-true deep conditioner on hand, awesome. If not, pick one up made with natural, nourishing plant oils. Coconut oil is known to soften hair like no other, and shea butter is a dream, too. Try Shea Moisture Raw Shea Butter Deep Treatment Masque. 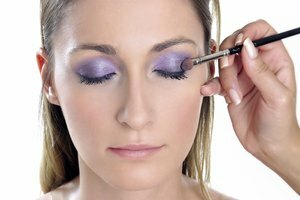 Swipe a generous amount onto each brow, and leave it on for as long as possible – at least 20 minutes – the longer, the better. Maybe kick back with a book or whatever's in your Netflix queue while the mask does its thing. Of course, avoid getting the conditioner in your eyes. When you're ready, with your eyes closed, rinse out the conditioner using a warm washcloth. Then brush your brows in place with a spoolie. Ta-da! Soft, behaving brows. Do this as often as you like. For everyday maintenance, apply an oil-based brow serum in the morning, at night or both. Some formulas are even made to help hair grow faster, which is great if you're a recovering over-tweezer. Province Apothecary makes one such serum with coffee and argan. Straight up argan oil works perfectly, too. Use a single drop, divided between two fingers, and gently massage the serum or oil into each eyebrow in the direction of growth. Again, finish by brushing brows out with a spoolie. If you're trying to achieve that soft, wispy full-brow look, eyebrow mascara is the way to go. Ditch pencils since they're generally harder to get right and can look really severe if you don't have a light hand. Glossier's Boy Brow is worth the hype. It keeps brows soft, not brittle, and the look it creates is literally your brows, but better. Don't worry if your eyebrows aren't already full. A little bit of mascara is subtle, and that's a good thing. For the most realistic gradient, apply the mascara starting at your natural arch, going in the direction of growth, and work your way to the inner side of your brow. Then move to the end of your brow to finish it off. And as always, brush it out with a spoolie to blend.